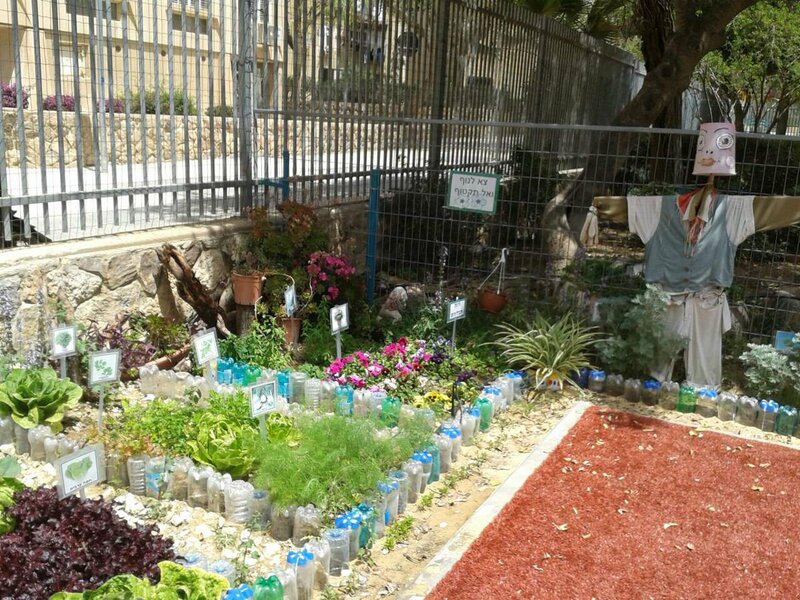 In January 2014 the Holosophic Society in Israel organised a project called “Beautifying of kindergartens” in Arad city. About half a year before, two closely located kindergartens were invaded by earth beetles. 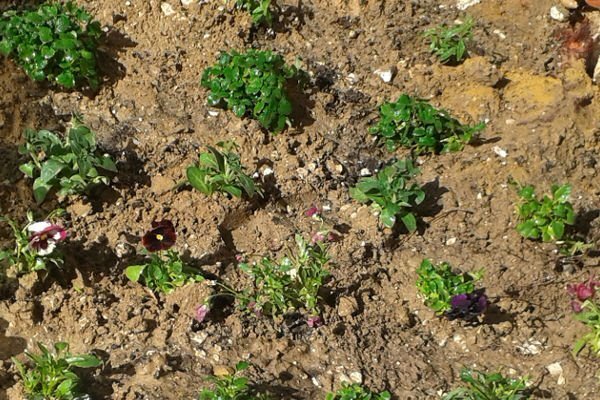 In order to destroy the bugs biting the children, the municipality removed a layer of soil including some plants, which had previously been planted by the children. 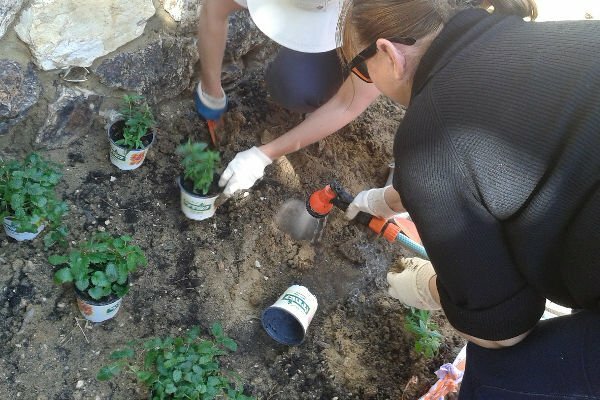 The organisation decided to support the children by restoring the lost gardens. 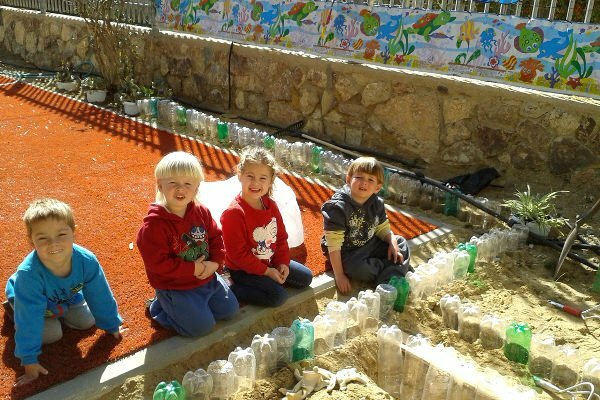 After negotiating with the municipality and the Department of Education, a plan for the project was drawn up together with the kindergarten teachers. 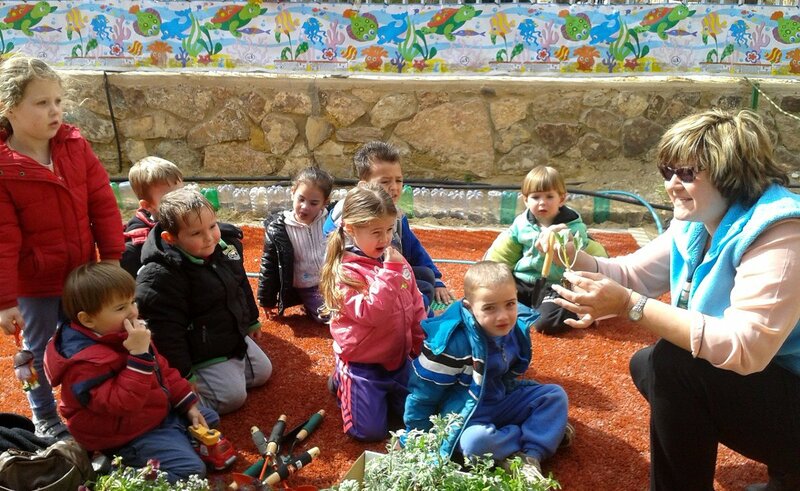 Our goal was to create a pleasant and inviting kindergarten where the children could play and learn about gardening. The whole ground was dug over again and aligned. 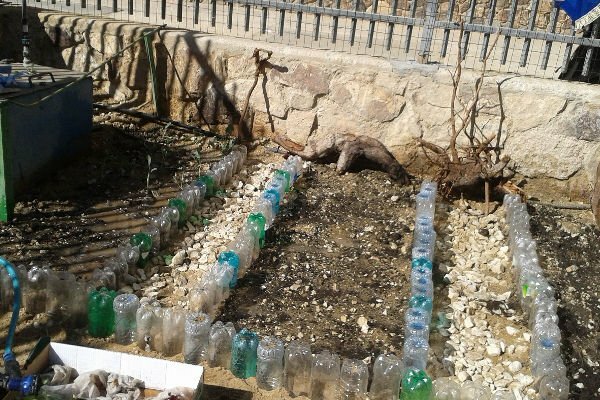 The aisles between the garden beds were laid out of small stones, and fences from plastic bottles and grates were built. The children were observing the slowly growing fences with interest and with their small hands they helped us to collect stones for the aisles. On Friday 31 January, about 100 seedlings of kohlrabi, cauliflower, lettuce, dill, parsley, sagebrush, sage and celery were planted in two kindergartens. 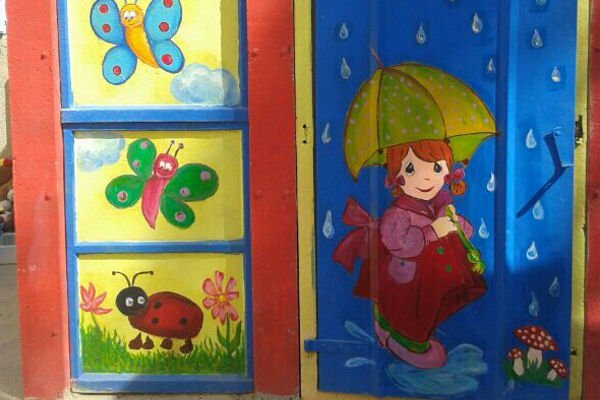 Along with planting the gardens, we started drawing pictures on the exterior walls of the kindergarten. 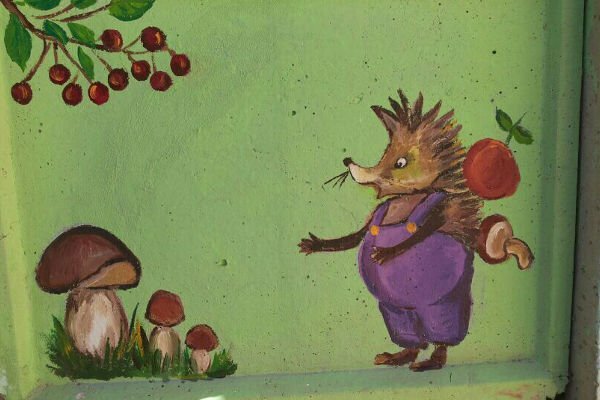 Characters from children’s books, such as animals and insects, started to appear on the walls, and the children’s shiny faces filled everyone with joy. 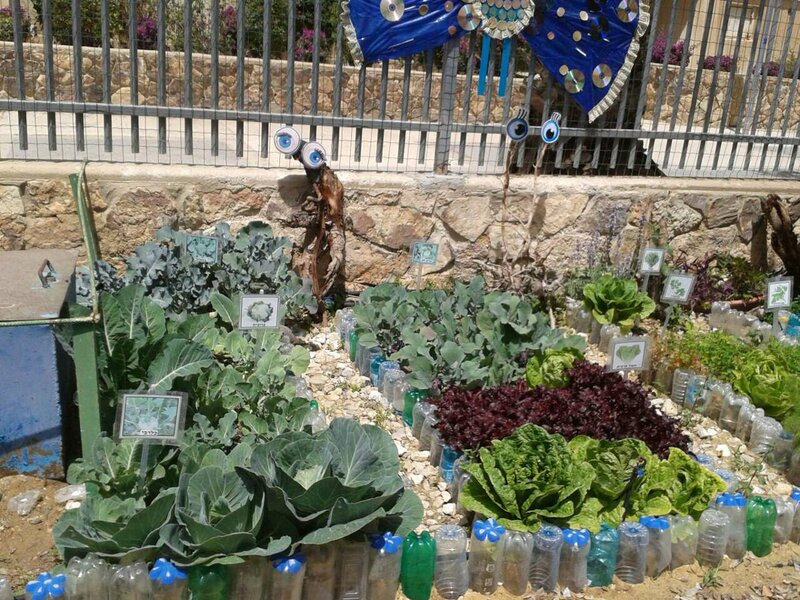 After being cared for by small and big hands for three months, the garden was overflowing with vegetables and flowers. We are happy to have been a part of this project and the cooperation with the municipality, the Department of Education and the kindergarten teachers has brought a lot of joy and learning experience. With different skills, creativity and joint efforts we were able to bring about a change. If you would like to support our projects please press the donation button.